The HOA does require that all trash be placed in a container and must be securely closed to prevent scattering and accessibility to animals. 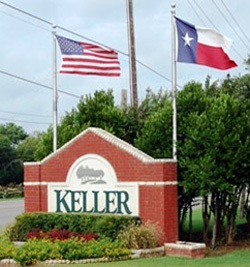 For more information on pickup dates please visit the City of Keller website or click here. Please visit the City of Keller Water Department website. ONCOR Electric, 1-888-313-4747, to report a street light click here. For a complete list of City of Keller utility please click here.